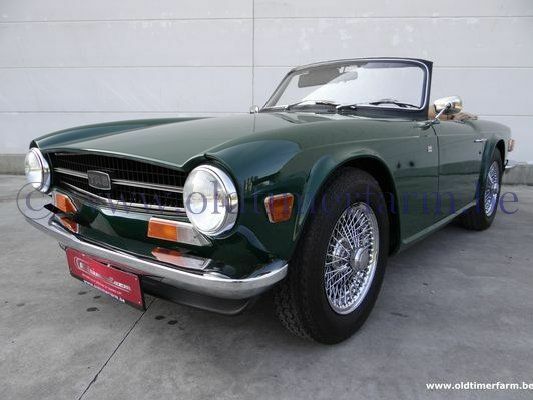 The TR6 featured a four speed manual transmission. An optional equipment overdrive unit was a desirable feature because it gave drivers close-gearing for aggressive driving, yet "long legs" for open motorways. 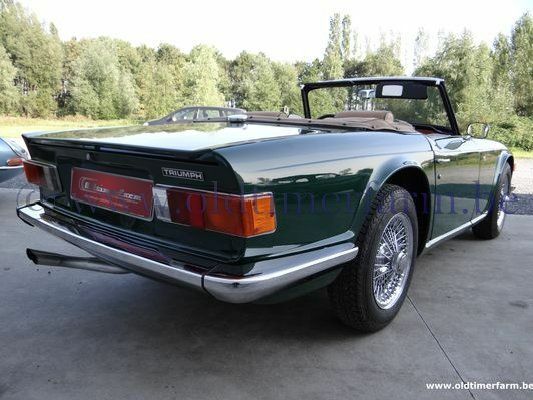 TR6 also featured independent rear suspension, rack and pinion steering, fifteen inch (381 mm) wheels and tires, pile carpet on floors and trunk/boot, bucket seats, and a full complement of instrumentation. Braking was accomplished by disc brakes in the front; drum brakes in the rear. A factory steel hard top was optional. TR6 construction was fundamentally old-fashioned: the body was bolted onto a frame instead of the two being integrated into a unibody structure; the TR6 dashboard was wooden. !! The engine of this particular model is the same as in the TR250, exported for the US market. (carburettors in place of injection).